The place was wonderful! Clean, beautiful views and fully stocked with everything you need to enjoy the island. Thank you for letting us stay in your beautiful condo! Overlooking Kahalu'u Beach Park (Turtle Beach), this lovely and spacious condo is the perfect escape for guests wanting easy access to some of the best snorkeling that Hawaii has to offer. We were thrilled with this condo. Unit has A/C which was great at night so the doors and windows can be closed to the street noise. It has a nice modern kitchen with a great fridge with freezer on the bottom. It is right across the street from Kahalu'u beach which offers good snorkeling. The view from the lanai is delightful. It has a concrete wall which blocks the view of the road and a glass top that lets you watch the sunset uninterrupted. I believe it is one of the closest units to the hot tub and pool. The pool has a great design with a turtle built in, would be great for kids. We found plenty of snorkel gear, a cooler and beach chairs in the closets. I thought the A/C had stopped working and the manager was prompt and courteous and had someone out to 'fix' it within 2 hours. Turns out, I must have done something wrong, it worked fine. The speedy response was such a nice change from other condos we've stayed in.The only downside is that the only walking available in the area (due to lack of streets) is on Ali'i drive. The shoulders are well marked and wide, but I didn't enjoy walking with all of the traffic. The upside is that to the South there are no houses or commerce, just vacant heritage land.I would highly recommend this condo!! We had a great stay at the condo! The view from our balcony afforded us a stunning view of the ocean and park across the street! We loved having everything we needed with a full kitchen and two full bathrooms....all the comforts of home! We look forward to our next stay and would highly recommend this condo to everyone! We had an amazing stay in the condo! It was very clean and had one of the best views we have ever experienced on the big Island! The location was ideal. The condo came with absolutely everything we could have needed for our days adventures. Whether it was lounging on the beach or hiking over in Hilo we were prepared! There is plenty of informative information about the condo itself, Kona, and the island in general. Great location across the street from the best snorkeling. Very nice condo with lots of amenities and a fabulous lanai. We would stay here again. Amazing location, amenities, and only 2 minute walk to the beach! Lovely, nicely appointed condo, with the beach and ocean view lanai . The condo is equipped with everything you need for the beach and snorkeling. We truly enjoyed our stay and will refer this property to our friends and family. We hope to be back soon. Absolutely five stars from me. My wife and I had a great time at Villa 1-201 the week after Thanksgiving. It was our first visit to the Big Island and hopefully not our last. We booked primarily because of a personal recommendation and were not disappointed. We thank all the staff at Villa 1-201 for providing a wonderful rental. We hope to do it again! We have stayed here many times and are never disappointed. The villa has great views, is always spotless, is very well eguiped with everything you need and most of all comfortable and quiet and relaxing. Best of all it is so close to the lagoon!Thanks John for another wonderful no hassle stay. We will be back. All-around great place to stay! Great location - right across from beach, beautiful view from the lanai, close to Kailua-Kona. Condo is very comfortable and has all the amenities we needed (well, other than a pineapple corer, but we bought one and left it there, so you're all set). Perfect location across from the best beach for snorkeling. Condo was in excellent condition. This condo was perfect for our family of three! Great view of the ocean and access to the beach and pool was really easy. The condo had all the items you needed for cooking, cleaning and lounging! Lot's of beach toys, chairs, towels and supplies. Was a quiet location for sleeping at night and great to sit on the lanai and watch the ocean! This was our second stay at this condo. It was perfect for the two of us and this time we stayed two weeks. The condo was clean, comfortable and in a perfect location right across the street from Kahalu u Beach Park which is the perfect place to snorkel. Everything you need is here - beach chairs, umbrella, sand toys, snorkel equipment, and supplies for the condo.There is a really nice pool and hot tub which are maintained and cleaned daily.A shopping center and restaurants are close by.Perfect place to stay while on the Big Island of Hawaii. Coming to Kona to escape a dreary Missouri winter, we were delighted when we arrived at the condo. The location is ideally located for activities and easy to access. Our unit was immaculate and stocked with everything we needed: beach equipment, cooking utensils, great bed, wonderful showers, and a porch with unbelievable views of the ocean. We definitely would return and request this unit. I know Kailua-Kona quite well as I travel there 1-2 times a year. We used to stay at a different condo the last few years but that property was sold and I am not too sure about the current owners. I have probably stayed in 6 or 7 different Kailua-Kona locations over the last 25 years. This one was definitely one of the best. The property is very well maintained, inside and out. The parking is convenient. It is right across the street from the best snorkeling site in West Hawaii. The unit itself has one of the best views of this beach and is very nicely equipped with beach chairs, umbrellas, snorkel gear, boogie boards and even sand toys for kids. We didn't use much as we had our own snorkel and scuba gear but it was nice that it was there. We really liked the pool and jacuzzi. The outdoor communal BBQ was clean and supplied with propane (we did use it). The kitchen was well-equipped but you probably have to stop by and check it out before you go to the grocery store. There were a few non-perishable items (e.g. condiments) but we still needed a few basics plus fresh food. It has been very easy to work with the owners and book this condo. I would stay here again, for sure. This condo exceeded our expectations. It was spacious, clean and lovely. The balcony is an added room where we got to enjoy meals and down time. The view is oh so amazing. You will be looking out directly at the ocean. The location is also incredible. It is across the street from an amazing beach where people come from all over to snorkel. Located on a Main Street it is easy to get everywhere. We are looking back to returning! My family of 4 stayed in Villa 1-201 during the Christmas holiday. It's our second time staying at Beach Villas at Kahaluu, but our first in this condo. Although only a 1 bedroom, the arrangement of the condo as well as the furnishing make this space seem much bigger. The master bed is very comfortable, well above average for a rental. My kids liked the pull-out sofa and appreciated the 2 bathrooms. The lanai was great and offered beautiful views of the ocean. Kahaluu beach is very popular and offers amazing snorkeling. Even better, we were able to use some snorkeling gear in the condo. Lastly, the local contact for Villa 1-201, Tom is great! He checked in with us during our trip and seemed genuinely interested in making sure things were as expected. We really felt the Aloha spirit with Tom. Rent this condo and you won't be disappointed. The villa was comfortable, clean and nicely decorated. The 4 poster bed is a beautiful piece of furniture with a comfortable mattress. The location of the villa was great. Close to everything and right across from Kahalu’u Beach where sea turtles swim in the shallow water. The villa was nicely stocked with beach items and household items. Our only complaint would be the gnats that were getting into the unit even though we kept the doors and windows tightly shut. A neighbor said they were coming into their unit also and thought it was the season for them. We wondered if they could have been kept out with better seals on the doors. Other than this, we were very happy with our stay. It was a really pleasant stay at the beach villa condo 1-201. The condo was well equipped with snorkeling gear, beach gear, towels, and toiletries. It was spacious for our family of 4. The kitchen was well stocked with pots and utensils. The location is amazing, right across from the Kahuluu bay. The only issue we had was with the hot tub that had too much chlorine to the level of being caustic and causing breathing issues. Other than that, it was a great and amazing stay! We had a delightful stay in Kona and would return to this rental unit in a heartbeat. I enjoyed my stay very much. I was actually working. My manager let me have a week in Hawaii and not treat it as vacation as long as I worked 8 hours remotely. I was able to sit on the lanai and do all my work on my laptop while enjoying the view of the beach. I ate all my meals in the unit except for one dinner and I found that very pleasant. I only have one suggestion. There were a lot of very small flying bugs that came in when I was working inside before going out to the lanai. I realized they were so small they could fit between the wall and the door from the living room to the lanai. You might look into some kind of barrier. But I liked it and would return if I do this again in December. If you have a chance to stay at Villa 1-201 do it. The home is lovely and well appointed. The view was incredible, and the pool was private and relaxing. The bed was comfortable and the welcome basket was a very nice surprise after a long day of travel when we checked in. The beach across the street really is one of the best for people watching as well as fish spotting. In the evening we got to sit on our lanai and listen to the the waves of the ocean. Quite perfect. My wife and I have been to the Big Island several times over the years, and have enjoyed snorkeling at Kahalu'u Beach, so this time we decided to rent the condo across the street. This condo is the best we have stayed in to date. The fruit basket that was on the counter when we arrived was really appreciated. The condo is well equipped and comfortable, but the biggest plus is the central air conditioning. We have stayed in condos that have the window ac units and the bedrooms were always too warm for us (being from Seattle). The heat and humidity in July, is way more intense than what we're used to, but we slept so well it made all the difference in the world compared to our other trips to Hawaii. The grounds and pool are constantly maintained and the people working here are very friendly and hard working. We were disappointed that the pool was closed for a several days because they were repairing the tile on the cute turtle. We were able to totally relax! In the morning we drank our Kona coffee on the lanai while listening to the birds in trees right next door! The best, however, was sitting on the lanai and watching the unbelievable sunsets! No two were the same. Thank you for being a huge part of making our trip to the Big Island unforgettable! We recently stayed at this condo as we have been to the Big Island several times over the years and my husband loves Kahaluu Beach for it's easy surfing and we all enjoy the snorkeling. The location and condo were ideal, the condo furnishings beautiful and we appreciated the beach items we could use during our stay. The location is ideal as it is away from the busy tourist area in Kona but an easy drive if you want to pop by one of the restaurants or shops.We would definitely plan on a return to this location and this particular condo on our next Big Island stay. We just had another wonderful vacation in Hawaii and our condo played a role in that. We have stayed at the Beach Villas many times, but this was the first in this particular villa. We found the accommodations wonderful with all of the cooking supplies that we needed. We found a cooler in the closet and beach chairs and mats and all the things we needed for beach time. The lanai is awesome and has a first class view of the pool area and the ocean right across the street. You can't go wrong renting this villa. My husband and I loved this condo. Everything is as it appears in the pictures and the condo is completely stocked with whatever you might need. I love how we were able to just arrive and use the lockbox for entry. The location is perfect, situated across the street from one of the best snorkeling spots on the Big Island. It is close to the Keauhou Shopping Center, the Fair Wind excursions, Magic Sands Beach and the town of Kona. We brought our own snorkel equipment, but there were plentiful masks, fins and snorkels available. Everyday, we would look out from the lanai at the ocean, grab the comfortable beach chairs, and head over to the beach to snorkel. One day we used the boogie boards at Magic Sands Beach. The condo was clean and we had no issues with anything. The grounds are clean and beautiful with the pool and hot tub. We found a wonderful fruit basket when we arrived with the best tasting pineapple in it. Thank you for that.We hope to visit again and will definitely stay at this condo. We really enjoyed the condo. The location is great. If we are able to use beach chairs, mats, etc. Perhaps a note telling renters what they can use.My husband and I weren't sure so we didn't use anything. A great place to stay. Thank you! I loved staying here! It is an excellent location just across the street from the best snorkelling area in Kona! The condo was quiet, and it was great to hear the birds sing every morning. The condo was comfortable, had a great big bed and provided everything you need. Lots of dish soap, laundry soap, etc, and I loved the fact that there was a teapot! I loved the gift basket that was waiting for me upon my arrival and the instructions for my arrival were easy to follow. The pool was great and I loved watching the beach from the pool! For those that don't like stairs, you only have to go up 1 flight which is very doable.There is a great view from the windows and deck! I recommend the a/c for those of us not used to the heat 😊.I have already recommended this condo to my friends and plan on returning! We were pleasantly surprised with 1-201 !! Wow, we had the pleasure of staying in condo unit 1-201 first part of November 2016. Everything stated in Aloha Condo's description is accurate. There really isn't a need to mention the details about the unit, however, I assure you that the owners went above and beyond to make our experience painless. They also had many photos and some videos on the website to help with our decision in booking this wonderfully located unit. The location is perfect, literally across the street from a wonderful beach that had great snorkeling, very nice local flavored events a couple of nights that had music drifting over for us to enjoy as we sat out on the ocean view lanai and the opportunity to talk with many locals at the beach. We loved having our breakfast out on the lanai as the town woke up. Having a fully equipped kitchen allowed us to eat our early morning meals like we do at home, of course we ate brunch out several times at the many local places as we explored all that there is to do on this side of the island. The grill worked perfectly for the steaks we purchased at a local market. We met several very nice people of all ages at the pool area and enjoyed the pool and hot tub several times. Many wonderful things to do close by: National Refuge park, Coffee farms with a great little place called the coffee shack, Fair Wind Snorkel Cruise! !, Kona town, Sheraton Resort, the white sand beach, Sam Choy's restaurant with an incredible view and of course the best little beach right across the street! The apartment was large enough to fit three adults - a couple in the bedroom and a single in the pull-out divan in the lounge area and it had everything we needed for the 5 nights in Kahaluu, Kona including a good sized pool. We loved the outlook over the water from the verandah and spent many a night there watching the sun set in the evenings, the activity going on on the beach front or gazing out to the beautiful water usually with a wine in hand! The apartment was well stocked including snorkling gear, and both bathrooms were spacious. Though the villas were 8 km from the main town of Kona, we were able to take the Kona Trolley into and out of town and, if one is really up for it, the walk is pleasant. On the other hand, if one chose to hire a car, parking in the complex is plentiful. There's a well stocked supermarket a 10-15 minute walk from the villas. We really enjoyed our stay at Beach Villas and would highly recommend it to other holidaymakers. This is our third stay at Beach Villas at Kahaluu. The location on the Big Island cannot be beat! We love that we can just walk across the street and snorkel at an amazing beach. Villa 1-201 was lovely. We started each day out on the lanai with our Kona coffee, gazing at the beach and anticipating our morning snorkel. Everything in the condo was in tip-top shape. The bed was so comfortable (although a bit high for a short person, ha). When we had a slight maintenance problem, it was taken care of immediately. We were quite impressed. Thank you for the fruit basket—a real treat when we arrived. The pineapple was delicious. Mahalo for making us feel so welcome. This is the 3rd time we have stayed at the Beach Villas at Kahaluu in this unit. Every time is great, the unit is in excellent condition, well set up and supplied. The convenience to Kahaluu is outstanding (walk down the hill 50 yards!) and you're snorkeling with the fish! The pool and hot-tub is actually one of the nicest we've seen in Hawaii, used by both children and adults, can't beat the ocean view. Nothing but positives, we will be back, thanks so much for the nice unit! My daughter and I just came back from our second stay in Laura and John's lovely condo. We didn't hesitate to book it again as we had loved it so much the first time. They have it equipped with anything you could want in terms of being comfortable in the condo itself or for when you head off to a beach or on a picnic somewhere. They take great care to make sure that it is well maintained for each new set of guests. We stayed a week at this condo and can't imagine staying anywhere better. The location was fantastic, directly across the road from one of the best snorkelling spots on the island. We snorkelled every morning and saw turtles, moray and snowflake eels and lots of colourful fish. This condo is well stocked including water shoes, fins, beach chairs, coolers, even boogie boards. The kitchen has everything you need and we were even surprised by a lovely fruit basket upon arrival. The large balcony has wonderful ocean views and sunsets. The management is top notch, as we found out after accidentally forgetting a valuable item at the condo. Our problem was immediately addressed and resolved. We can't imagine staying anywhere else on the big island. We will definitely be back! My husband and I spent the last two weeks of November at Beach Villas 1-201. We had a wonderful Thanksgiving and a great vacation. The condo is clean, convenient and far exceeded our expectations. It had everything we hoped for and a lot more. Everything works and check in and check out were a breeze. The owners take great care to be sure guests are comfortable. The location is perfect. I hope we come back to this unit someday soon. La ubicacion y la propiedad son: EXCELENTES !!! Solo tenemos agradecimiento porque la propiedad tiene todo y más de lo que uno espera, en comodidades, ubicación, equipamiento, etc., , desde que llegamos sentimos que el lugar era increíble, recomendamos completamente el lugar, gracias. My wife and I stayed here recently for four nights and, this place is by far one of the best vacation rentals that you can stay in. We reached quite late at night, but the check-in process was easy as all the information was sent to us in details. The apartment was very well maintained with a very well stocked kitchen, two baths, a king bed, sofa, and a balcony where we had our breakfast everyday while overlooking the ocean. You can walk a few steps to the Kahaluu beach for an amazing snorkeling experience, and at night you can sleep with the windows open, listening to the waves. The owners have given a lot of thought and stocked the apartment with everything you can possibly need, starting from extra towels, extra sheets, snorkeling gear, to even defogging solution for your snorkeling mask. We had our own equipment and did not need them though :) We have no doubts about where to stay, the next time we are in Big Island! We keep coming back here every year - the reason? It's a great condo to stay at while you are on the Big Island. Good location, right across the street from Kahalu'u Beach which has great snorkeling. All the amenities you need from cooking utensils to beach chairs, boogie boards, dinnerware, etc. You are close to shopping but far enough away from the hustle and bustle of Kona town. The condo is clean and well kept as well as the grounds - nice pool, spa, chairs and gas barbecue. The view from the lanai is lovely and you can sit and watch all the action at the beach. Highly recommend staying here while you are on the Big Island. A relaxing week in Paradise. A large and very well appointed one bedroom condo. We spent a week at Beach Villa 1-201 and were very comfortable because everything that we needed. was provided We really liked the way that the condo was furnished, especially the magnificent bed. The condo was beautiful and clean when we arrived and we really appreciated all the special touches like the shampoo, conditioner and shower gel as well as the cleaning products and condiments in the kitchen. It meant that we didn't have to go out and buy all these things and then throw out half empty bottles, packets etc. We just replenished as they were used. Trevor - my cook, really loved the kitchen, he found everything that he needed and having a good supermarket nearby was a bonus. We spent a lot of time sitting on the balcony and we never got tired of the view and the magnificent sunsets. I enjoyed having the pool to myself most days as I was able to swim laps and get some exercise. We also really appreciated the book collection - we don't like reading on our I pads and carrying books adds weight to our luggage and so we were able to read a number of books while relaxing on the balcony. The location of the Condo was perfect. There were plenty of things to do close by. We found a great coffee shop in the shopping centre that sold Espresso coffee the way that we drink it in Australia - small, strong and with a crema on top-we became regulars at Peaberry and Galette. We enjoyed snorkelling on the reef and got close to several green turtles but the highlight of our trip was Snorkelling with the Giant Manta-rays which once again was just down the road. All in all everything was perfect and we would certainly consider returning to Beach Vila 1-201 again in the future. Excellent snorkeling at the beach across the street. Condo beautifully furnished, well equipped, comfortable for 4. Plenty of parking. Nice pool and barbecue area. Two small cautions -- there are steps down from the parking lot, then up to the condo, and there is some noise from the park across the road, and the rather busy road. Neither was a problem for us -- it was quiet at night. Condo itself seems very well built and soundproof, but we had windows open all the time. Lots of windows, always a good breeze. We had a wonderful stay at the Villas. Directions to find from the airport, and self-entry were excellent. The apartment contained all comforts, 2 Tv's, and included extras like beach chairs, snorkel gear, cool-boxes, re freezable ice blocks, etc. ; everything we could have wanted for our vacation. The location was perfect for us - great snorkel beach directly opposite; the Disappearing Sands white sand beach a short mile up the road, and near to all amenities like supermarkets, shops restaurants, etc. This was our first visit to the Big Island and our first time using Vrbo - we were nervous but did not have to be. We received instructions and the access code in plenty of time and when we arrived it was easy to find the unit. When we walked in we were thrilled with everything we saw. The furnishings, the supplies ( including shampoo and conditioner) and the beautiful view impressed us from the start. It was easy to snorkel across the street as often as we wanted as the unit even included snorkeling gear. There was everything we needed like beach mats and chairs too. The kitchen was very well equipped including the little things like Saran Wrap, ziplock bags and plastic containers for leftovers and picnic lunches. There was even a cooler! Location is also perfect, easy to get to Kona but not too busy or noisy with shopping and restaurants nearby. Pool and hot tub were well used and Bbqing was a great time to talk to other guests. Hands down the best vacation ever! We loved this condo in every way...from the beautiful views from the lanai and the location near Kahaluu Beach. And, it is far enough south of Kona, that it is very quiet. The reservation process was very simple.We loved the well equipped kitchen and cooked a lot of meals in. The decor and condition of the condo was excellent, very clean. It has parking and a nice pool and spa. Having stayed in this complex twice, it really is one of the best rental options in Kailua-Kona. Reasonable rates, for a very well equipped condo and block. Great snorkelling across the road, local facilities and close to Kona town centre. We had a wonderful time at this condo across the street from Kahalu'u Beach. It had everything we needed, was clean and in good repair. I would absolutely stay here again and will recommend it to our friends. We loved being able to watch the sunset from the pool. It is a short walk across the street to the beach. It is a wonderful beach for seeing fish - you don't even have to snorkel - it is so clear and shallow. The condo had everything we needed and it was close to shops and restaurants. The location was ideal: south of the traffic and hassles of Kona, but within trivial reach of both Kona and points south. Directly across the street from the best protected snorkeling on the big island; my wife snorkeled at least once every day. You can rent snorkel gear from a non-profit on the beach, and as a bonus there is a food and shave ice truck there every day. There is a very nice little pool and hot tub directly below the condo. Except for the expected kids-playing-in-the-afternoons it was quite quiet. There is some road noise from the road between the condos and the beach, but it is minimal and was never an issue for us. The thing that most struck us, though, was how well-equipped the condo was. From a coffee grinder to snorkel gear, every time we needed something it was already there. When we left we donated a mask+snorkel and some never-used beach sandals as our contribution. I do recommend paying for the air conditioning. Even in the last 2 weeks of March we used it almost every night for sleeping, and often in the afternoons. We will rent this condo again in a heartbeat if we return to the big island. I'll be reposting this review to Tripadvisor so if you're googling you may see it twice. Not a shill, just a very satisfied customer. This was our second stay in this particular condo and the experience from last year continued on with this visit as well. The condo was very tastefully decorated and well laid out with a generous kitchen, a cozy living room, a wonderful big lanai with a great view of the palms and water, and a king size bed in the bedroom. The facilities of the villas are first rate with a refreshing salt water pool and relaxing hot tube adjacent. The BBQ was used to advantage as well. All of this was cared for and maintained by a first rate staff on a regular basis. The villas are in a great location on alii Drive. Shopping for supplies is very handy as is the snorkelling beach across the road. We had a fantastic stay of 2 weeks here and enjoyed every moment. We are finding this condo habit forming and we certainly intend returning one day at the first opportunity! Very nice...Laura and I really appreciate the attention to detail that you all take with the condo! Our arrival and check in at the Beach Villas was flawless.We think Villa 1-201 had the best location in the complex.The unit was bright and very clean and well maintained. We enjoyed sitting on our lanai having breakfast and watching all the activities at the beach park right across the street where you can enjoy some of the best snorkeling on the Big Island. The pool was 5' deep in the deep end which I enjoyed and you can see all beach activities right from the pool. I would like to mention that this beach is not a swimming beach as it is very rocky. I have some difficulty walking and getting in and out of the ocean. We love to swim in the ocean and found several beaches farther north that were suitable for me. All shopping and great dining, etc . are just a short drive away, also the bus stop is right across the street. The condo was in perfect condition, very well maintained. It was very quiet at night and the bed was comfy. We loved eating meals on the lanai overlooking the pool, beach, and ocean. Being right across the street from a fantastic snorkeling beach really made the trip extra special! There were turtles and a Moray eel - so cool! Even though it was December I'm glad we sprung for the air conditioning. I have nothing but good things to say about this place. The location is great, right across from Kailua Beach park which has great snorkeling. There's a grocery store less than 5 minutes away. There's a beautiful lanai with view of the ocean, it also overlooks the pool and hot tub. We didn't use it, but there's also a BBQ by the pool which is very convenient. The bed was very comfortable, we slept well all 4 nights we were there. It was very private, nicely decorated and honestly felt like a home away from home. It was a perfect choice for our honeymoon stay in Kona. We hope to come back again soon! Arrived late in the evening and everything was just as communicated. Simple lock box and we were in. There is a full line grocery store about a two minute drive up the road, so no need to purchase everything for the entire trip before visiting condo. Snorkeling across the street was fantastic; even for those who have never been it was like swimming in an aquarium. Condo has single snorkel mask but you can rent a complete set in the beach parking lot. My wife had never been snorkeling and we could not keep her out of water, high tide was best for turtles. Condo was perfectly located, each morning waking to the sound of the ocean and having breakfast on the patio prior to sunrise was most memorable. The swimming pool and hot tub are directly below the unit, we never used the pool but each day there was a pool maintenance guy cleaning. The entire facility was well manicured. The gas grill was spotless; the local grass-fed beef available from the grocery store up the road was perfect. We were told to try the white pineapple, as it was much sweeter than the regular pineapple, and the grocery store had it, plus all kinds of local fruits and produce as well as that produce we mainlanders are accustomed to. The appliances are first rate and spotless, coffee pot and grinder, (whole roasted Kona coffee beans are best fresh ground) toaster, blender just about everything imaginable to make our stay perfect. I researched other condos and hotels prior to selecting 201 and drove by them during our stay and now know I made right decision in renting 201. We are already making plans to return to Hawaii and should we stay on the Big Island it will certainly be at Condo 201. There are no negatives and should you have read one, that reviewer probably would not be happy in a six star hotel. Stayed in a great condo, with many amenities, shampoo, conditioner, body wash included in each bathroom with a supply of towels and beach towels as well. We were able to pack light and returned heavier with gifts ;-) Did a lot of cooking in our kitchen and was grateful for the spices in the cupboard. A few left overs from previous guest that could not take on the plane was also found in a stash in the condo and proved to be a great thing, for all of those things you don't think about, such as band aids and zip lock baggies! Now I haven't even said anything about the outdoors...it was glorious! Paradise is the right word to describe it. It smells fabulous over here people! We could not get enough and usually went to the endless pool each night to enjoy the quiet. For years I've looked for a comfortable place across the street from fantastic snorkeling. Kahaluu Beach exceeded my expectations and you practically trip over the turles at the shore and there are beautiful corals and diverse fish. They have an organization that hangs out and answers questions about the reef and a lifeguard. The picture perfect view from our window was an amazing bonus. It was like a gorgeous painting that was ever changing. The dining area was outside and was spotless. We spent alot of time out there. Inside there was a great sectional that faced the wonderful view. We were up near palm trees and brilliant little yellow and red birds flitted by all day. I haven't seen so many gorgeous ones at any hotels. There was central air conditioning so the place was tremendously comfortable. The decor was lovely with a great king sized bed with a lovely carved headboard. The kitchen was clean. Overall the place was not huge but well laid out so it was wonderfully comfortable. The pool and hot tub were lovely and overlooked the beach. We found heaven. This condo unit is located at one of the best snorkeling sites. We saw sea turtles everyday and colorful fish. The condo is well-kept and very clean and it has everything my family needed from cooking spices to the beach chairs. We loved the beach view from the lanai also. The condo space is a bit tigh with a family of two adults and two teens, but its manageable. There is one thing you should put on your web site is to let renter know to fly into Kona airport, not Hilo airport. We flown into Hilo airport and it took us almost 3 hours to drive to Kona. Luckily, we were able to change our flight to fly out from Kona without too much trouble. We will definitely stay at this condo again, but perhaps in a larger unit. When we arrived, everything was ready for the vacation, fresh,clean and well equiped. Top quality kitchenware,utensils and appliances and electronics. We loved the two full bathroom in the unit, very convenient. Location is great, close to all amenities. We had a very good experience overall. In my wish list is a screen door to the balcony. Reasonable price, Perfect view, Convenience.. What do we need more? It was the best choice during my stay in Hawaii.My wife really loved those perfect conditions.You can go without anything. It equipped with everything you need except for your underwear. Bbq grill, fishing tools, snorkel gear...even salad dressings. One thing I want to suggest to condo owner,please replace mattress. It's a little sunken and smells other person who uses strong perfume. It would be better to use non-cotton inner cover. (water resistant)Ah, the sofa & blanket smells, too. We have stayed at this condo five times and we love it! It's clean, well furnished, has all the amenities that we need and it's right across the street from a great snorkeling beach. The grounds are well kept, nice pool and spa and there is a propane gas barbeque. You are close to the Keahou Shopping Center which has restaurants, a Longs Drug Store, cinemas and other little shops. Although it's on ali'i Drive, you are far enough away from Kona Town so you don't get a lot of noise or traffic. The only thing that I would suggest is that they get an extra barbeque to accomodate the guests. That way, if everyone decides to barbeque on the same night, you wouldn't have to wait too long. I highly recommend staying here-you will be glad that you did! We had been traveling for 9 hours on the plane, and then had to deal with the car rental company, and dragging around our luggage. When we got to the Condo, we opened the door, and I took a deep breath... the Condo welcomed us with open arms. The fans were gently turning, rooms were cool, the decor was beautiful, everything was clean, peaceful, and there was a beautiful ocean view from the lanai and the bedroom. We loved hearing the ocean at night while we slept as it was right across the street. The sunsets from the lanai were spectacular. The pool was very nice, as was the jacuzzi, and the outdoor landscaping was beautiful. Even though it was on a busy road, the shrubbery blocked out most of the noise. Tables, lounge chairs and BBQ facilities were provided. We liked how convenient the location was to shopping, dining, and various activities. We were married on June 7th on the beach at Paradise Cove in Kona, and couldn't have asked for a more wonderful place to spend our honeymoon! We spent a lot of time at the beach, which was right across the street from the Condo, so we could walk there and not worry about parking and traffic. We did some snorkeling, it was a great place for that. When we come back next year, we want to come back to the same Condo and location. It is a special place for us now! Reasonably priced condo in fantastic location across from snorkeling and surfing beach. Well furnished, comfortable with great views. Close to shopping. Easy check in with free parking. We were pleased to find the condo had everything we needed and more. The condo was tastefully furnished and cozy. The kitchen was a pleasure to cook in and contained everything we needed to prepare all our meals. An unexpected bonus was two bathrooms! The lanai was roomy and comfortable with a lovely view overlooking the pool and Kahalu'u Beach Park. The amenities, including pool, hot tub and barbeque were used extensively. We also put the cooler, beach chairs and other beach toys to good use. The location was very handy to snorkelling at Kahalu'u Beach. We enjoyed being able to simply walk across the street to snorkel with the fish and turtles. The Keauhou Shopping Centre nearby was handy for our shopping and dining needs. The villa was a short drive from Kailua-Kona which we visited on several occasions. If we had to say anything negative about the condo is that it lacked night lights for midnight trips to the loo. Outside street lights are not in your control but they prevented us from leaving the bedroom blind open at night for air flow. When we required assistance with the wi-fi set-up, help was a phone call away and dealt with promptly.Overall, we had an outstanding condo experience and can't wait to return to suite 1-201. My husband and I just completed our 4th trip to the islands. Unit 1-201, at the Beach Villas was absolutely perfect. The view is breathtaking. The condo was perfect!! Thanks so much for all of the extras provided, beach chairs, snorkeling gear, ice chest, beach chairs, umbrellas. It was truly more than we expected. Wonderful pool, and all so clean!! We were there 2 weeks, and only have one complaint: it wasn't long enough!! Will definitely stay here again and again! Thank you again for sharing your place with us. We are already planning our next stay with you!! On arrival the unit was clean and we found it well maintained. The furnishings are of good quality. The king sized bed gave us a restful night sleep. The sofa was comfortable. The kitchen had everything we needed, including wine glasses to celebrate our anniversary. The walk-in shower was a delight. No need to fuss with a shower curtain. You can not beat breakfast on the lanai with a beautiful ocean view. This unit is a dream.The only difference from our previous stays is that we did not have the 100 TV channel. We did have internet hookup, so it was not a big deal. This unit remains the best accommodation along alii Drive we've experienced to date. We'd give it 10 stars if we could. The Condo itself is well maintained, clean and well equipped with everything we wish for and more the location is what sets this complex apart from all the others; a few steps away from the best snorkeling spot in our opinion and minutes away from supermarkets and shops. We had such a relaxing vacation. We can't thinkof anything at all that we don't like about this vacation experience. Condo is clean, well appointed, and excellent location. Odd eating arrangement outside on the lanai but still very functional. Patrons with any physical needs may look closely as there are two different flights of stairs to this unit. Wish there were a combo lock on the gate to the beach so a key would be unnecessary, but it is possible to walk around the condos and still get out. Pool gets a little brackish from people going from ocean to pool all day. Would love to have better accommodations for late check-out as most flights to the mainland leave around eight o'clock in the evening as of this writing. Would enjoy the extra time to play and still have a place to clean up prior to going to the airport. Could not have asked for a better place to stay. The location across from the beach park was great. We often snorkeled before breakfast and then again in the afternoon it was so convenient. Also convenient was the condo at the Beach Villas (1-201). Everything you would need (and some things you didn't even know you needed) was there. We're already planning our next trip back and we want to stay in the same place. We love staying at these condos! The location is perfect, you are right across the street from one of the best snorkeling beaches on the Island. The condo is clean, comfortable and furnished nicely. The grounds are well maintained, the pool and spa are great with plenty of lounges to lay out on. You are close to a shopping center with restaurants and not that far from Kona town. This is the third time we have stayed in this particular unit and we will be back again! Very well equipped & maintained apartment. Clean. Perfect location next to Kahalu'u Beach. I very highly recommend the condo for anyone and everyone thinking about staying on the Big Island. We spent a week of our honeymoon there, and it was nice to have a place that felt like a home to come back to after a long day of activities and driving. The condo was in perfect condition, extremely clean, the kitchen and lanai were wonderful, and all of the details, style and charm were amazing. This condo has more than you could possibly need, and the kitchen was fully stocked. We did one local food shopping trip the first night we arrived, and it lasted us for the whole week. The dishwasher and washer/dryer units were a huge bonus. The grounds included parking, a great infinity pool, a jacuzzi built into the pool, a bbq and tables in the back near the pool, as well as snorkeling and other beach gear for the beach across the street. We saved a ton of money not having to eat every meal out all week, and it was so nice to have a beautiful place to come back to each day. The unit feels larger than it is. Please do not hesitate to stay here. Kudos to the owners and the rental management company, Aloha Condos. An excellent overall experience staying at this villa. No real negatives to highlight. Particularly impressed with attention to detail in providing appropriate additional amenities needed - egs. beach umbrella; flashlight; binoculars. We have stayed in several of the condos at Beach Villas at Kahaluu and others there in Kona. This was by far the best equipted condo with the most relaxing view. We spent a lot of our vacation sitting on the Lanai people watching or swimming at our favorite beach a very short walk across the street. We will be back. It was a great way to spend our 40th anniversary. Mahalo B. and H.
Loved our stay! Would stay again. We had a great time visiting this condo. The unit was a lot newer than I thought it appeared in the photos. It had everything we needed and more. It was very clean, had a comfortable bed, and a great beach location. There were beach mats, a cooler, and even mayo in the fridge made our visit even nicer. Thank you so much! We loved the Beach Villas at Kahaluu. The condo we stayed in 1-201 was wonderful. We enjoyed the ameneties, snorkel gear, sunscreen, cooking essentials. The condo was very clean and spacious. The Beach view was great. The pool and hot tub were appreciated after a day at the beach. It was a blast for the whole family; Mom, Dad, Kids, Grandma and Grampa. So much to doa nd see for everyone. Everything from booking the condos (201 and 202) with Chuck, to the check-in procedure and through the stay was perfect. We were a family of 8, ages 54 to 8, stayed 9 nights, and had a great time. We love Kahaluu for snorkeling and the boys loved playing with kids from all over at the beach and at the pool. The kitchens were well supplied and the beach gear was great, too!! We loved the condo and all of the great amenities. The snorkeling at the beach across the street was amazing! Very comfortable and relaxing! Thank You! Accomodation excellant lots of room everything was there for our use. You would not find a better view. The grounds are also very well kept up. Great having the barbecue. Very peaceful as well. The rental book needs to be updated. This condo is great. Location overlooks the pool and the beach. Condo was super clean and very well equipped. Two really nice bathrooms, plenty of towels (even beach towels), very nicely decorated, and even a blender. I hope we get a chance to use it again. This place was amazing! We stayed a week and still didn't want to leave. We're still missing the gorgeous sunsets we enjoyed each evening. The unit is beautiful, located right across the street from a great snorkeling beach, and was very well-equipped with everything we needed to have a great family vacation. Manager Chuck Buser was very pleasant to work with and quick to answer any questions we had. Perfect location, clean, everything lived up to expectation. Will go back. Nice for a couple. Clean, nicely decorated. A public beach (there are not too many on the big island) is across the street. Parking at the condo was never a problem (it is a big problem in Hawaii in general). I would recommend to a friend and would stay again. This beautiful condo was ideally located for us to be able to do everything we had hope to do on the Kona side of the big island. It was nice to be able to grill fresh fish we had picked up at the Bite-Me FishMarket and enjoy our dinner on the lanai while watching the surf. The condo was so well supplied--kitchen particularly--that it made us kind of cranky when the condo we rented in Kauai, at a considerably higher price,the following week had such poor kitchen equipment it wasn't even worth trying to cook. Great service! The condo was beautifully decorated, it had everything we needed including a cooler.Oops, our last day there the fridge and ice machine conked out!!! !The location was perfect, beautiful view, great snorkeling across the street, and the pool and hot tub area was fun and relaxing. What I liked best was my entire holiday. The only negative was the noise from one air conditioner that was running on and off outside my window. Oops, the boogie boards in the condo were broken, perhaps in your advertisement of your condo you could let visitors know that the room has a cooler, masks and snorkels(we had our own) and new boogie boards! We love the Kona area and Kahaluu Beach Park in particular. These condos are very well decorated and you walk to one of the best snorkeling beaches with turtles. We enjoyed our stay enough to consider a purchase in this complex. We had a wonderful time at Kahaluu Villa 1-201, it was a clean and comfortable room. Reservation process went smooth, their location was very easy to go snorkeling (2~3 min on foot) and easy to go a shopping center (3 min by car, 20 min on foot) where you can buy groceries and also there were some restaurants. (The shopping center had a bus stop, if you don't want to drive, you can go to Kailua Kona by bus and there was a bus stop near the condo, too.) The room had a big TV with DVD, nice sofa, internet access, pretty lanai where you can see Kahaluu Beach, and I loved a washing machine, a dryer and a dish washer/dryer, they worked well. Liked least: there were some noise at Kahaluu Beach in the evening almost every day. The party ended around 10:45 p.m., after that, the place became quiet. The room had full kitchen equipment and they only had salt, pepper, oil and honey for seasoning. We went to Coffee Shack for lunch, they had good sandwiches and the view was great! Thank you very much for sharing the beautiful condo, we loved this place. I was very satisfied w/the quick response by Aloha Condos when I inquired about the property. The reservation process went very smooth and was thorough- all costs listed. The recommendation about adding the AC for comfort in September was very much appreciated. The unit was beautifully appointed with a great view of the ocean. The space is great for a couple who needs to bring some work on vacation (not advised! )because it provided privacy for those who would rather sleep in. We truly had all the amenities we needed to make our stay comfortable. The pool, hot tub and bbq grill were maintained daily. Keahou shopping center is convenient for groceries and sundries. Liked least: I had a slight leg injury so all the stairs (down from parking lot and then back up to the 2nd level)made it slow going. The view was worth it. Liked most: The snorkeling beach across the street is very nice in the early AM before the crowds come in. Snorkeling gear can be rented there daily. The complex was very quiet and safe. Liked the binder the owner put together that is filled with information about local restaurants,golf course, beaches, etc. You're right, The Coffee Shack is great...and their cranberry/mac nut scones are the best! Thank you! The condo is in a good location, about 5 miles from downtown Kona, and very close to a small shopping center just south on Alii, where you can get groceries and a good selection of fresh fish. The unit was clean and well stocked...spices in cupboard should be discarded, they are old. It was very humid while we were there and we were grateful a/c was available. There is no inside dining area, so you must eat on the lanai, which would be fine when cooler. Kahaluu Beach across the street has awesome turtles. Alii Drive was a bit noisy at times. Very impressed. Clean, stocked with high quality kitchen stuff, nice TV/stereo, spacious, great shower(s)/bathrooms, awesome covered porch/deck, ocean sunset views, walk across a small street to snorkel with turtles, drive a few block to a shopping center with a grocery store and drug store. The owners even leave things like beach towels and chairs, a big cooler, snorkel fins, it's as if I had my own condo in Hawaii to visit. The infinity pool is great, and there is a nice BBQ available to grill on. I really liked this unit (1-201), there are about 4 like this that have the ocean views. Only (small) downside is that you can hear some traffic noise, just cars going by once in while, and the part across the street can host parties. Nothing that really detracted from our experience. My DH and I stayed in this absolutely perfect condo July 10 - 16, 2009. After a long drive from Hilo, where we had a mixed stay in two B&Bs, we were not expecting much, as this was the first time we have ever rented a condo through an on line company. However once we entered this lovely condo, we were completely blown away by how well-designed, clean, amazing view - far surpassing the photos that are on this website. It is truly a treasure on the Big Island. We had so much fun just feeling like this was our home - after so many days living in someone else's house -it was fabulous to let down our hair and relax. Kahaluu park was quiet at night, and the sunsets from the lanai are simply stunning. I took many, many photos. The shopping centre was very close by, we love the KTA store (Mauna Loa cookies are the best!) and our favourite snorkeling beach was right across the street. Everything was simply amazing! I would not hesitate to recommend this condo to anyone. We will definitely return. Thank you for the welcome emails, renting through Flip Key was a breeze. Mahalo! The booking was painless and the condo was gorgeous! For such a great place, the price was great, and the location was fabulous! Condos are the way to go-- so much better than hotels, and this was just wonderful. It was well-stocked with basic essentials, plus so many extras! From towels to boogie boards, we had it all. And just across the street from amazing snorkelling... such a great location. We enjoyed the deck every evening. The pool was under repair, but we used the hot tub. The whole complex is well-kept and just great. Can't wait to come again! Thanks so much!! We had an amazing time at the Beach Villas at Kahaluu Villa. The condo itself is extremely comfortable and has all the amenities you need to relax all week long, including beach chairs, snorkeling gear and boogie boards. The view from the lanai provides large table for meals and games, and the sunsets are unforgettable. We enjoyed the infinity pool everyday and grilled on the community BBQ. Snorkeling is right across the street with huge sea turtles. The week could not have been more perfect, we hope to be back soon! I and my parents had great time. One of the good snorkel spot is at the front of the condo and it is walk distance (1-2min). This condo is in a great location, and is very nice. This was our second trip to the Big Island. We had previously rented a house nearby with my extended family. This time it was just my wife and I. We wanted to be within walking distance to Kahalu'u Beach Park. You can hardly get closer than this condo, you could throw a rock from the balcony and hit people in the park if you were so inclined (we were not). The condo is furnished nicely. I would rent this place again. Two problems we had were: 1- since it is so close to the park, often there is loud music and BBQing in the evening. It wouldn't go late but since we were still on mainland time we wanted to go to bed early and the noise was annoying.2- this unit is directly above the hot tub and some other guests thought it was ok to soak in the hot tub at 3am and talk loudly to each other and on cell phones. I wish there was better signage at the hot tub to encourage guests to be courteous and keep quiet. Air Conditioning is optional so we didn't get it. If the windows are open in the evening and you use the ceiling fans it is fine. But if you want to close the windows to keep out any noise, you will want to use the AC. Again, we would rent here again. Great apartment - very pleasant stay ! Great apartment and excellent location right at "Turtle Beach". The apartment is finished to a very high standard and includes everything you may need during your stay including flat TV screen, dishwasher, DVD player, telephone etc. It's lots of space with 2 people and you can enjoy the sunset view from the terrace. Would definitely go again. We stayed here for about a week. From the second we walked into the condo we knew and felt like we were at home. The condo came with all kinds of extras including boogie boards (adult and kid sizes), scuba gear, and a assortment of books, dvds, binoculars, wine opener, and more! There was not a single spot in the condo that didnt have a great view. The beach was a two minute walk across the street and if you didnt want to walk two minutes, you could walk 30 seconds to the private pool or hot tub. We found the grill to be very usefull, and only made us feel more at home. The only "down" side to this place, is a road just infront of the condo. However, I wouldnt have noticed the sound if it wasnt pointed out to me in a review I read earlier. But it is important to note traffic on the road was never heavy, so the level of noise never bothered or annoyed us... even at the smallest number. In the end... is it there? Yes. It is annoying? Not the slightest. I've told everybody about this place since we've been back. It is without a doubt the best steal on the Kona side of the island. Great location with it being on the beach, with shoping center 2 minutes one way, and the main "Kona Tourist Trap Area" 5mins the other way... It couldnt have been in any better of a location. Rent this condo. It's amazing. This condo was perfect for our family. The kids enjoyed the pool and the beach tremendously. The surf break across the street was perfect. We really enjoyed our stay at these appartments. They we very clean with everything you would want. We loved sitting on the balcony sipping wine and watching the lovely beach across the road. I could not fault anything, we just loved the Big Island and the highlight of our trip was snorkling with the Manta Rays at night.Thankyou. Condo was very clean and very well equipped. It was tastefully decorated and it felt like home but with a much better view and a super pool. The location was central for what we wanted to see and do on the Kona side of the island. Most days were off sightseeing, hiking and kayaking. Snorkeling was "fantastic" at the beach across the street. It was easy to access the water and like swimming in an aquarium. Afternoons got crowded with a tour bus or two, so do your snoekeling in the AM, it's better then anyway. My wife didn't even use fins, just water shoes...a must anywhere in Hawaii. I would have given this condo a "highly recommended" if it weren't for the family of cockroaches living in the dishwasher, fortunately they stayed there and we left them alone and hand washed the dishes. I notified the owner upon returning home and told him we would consider staying again someday.... provided he guaranteed us it was pest free. I understand they are difficult to erradicate but not impossible. Nowhere else we stayed in Hawaii had any pest problems. Probably the best begineer/intermediate snorkle beach on Big Island right across the street. Great lanai. Great amentities. We've stayed at this condo twice and have loved it both times. It's right across the street from one of the best beginner snorkeling spots on the island. There is a farmers market near by where you can get fresh fish to grill on the BBQ. Condo is fully equipped which includes internet access. We enjoved sitting on the lani eating breakfast & dinner. We've been to island 6 times and this is by far our favorite place. Excellent place for early morning snorkelling with the fish and turtles in the bay across the street. Good, well equipped apartment, with easy parking. Convenient for Outrigger drinks/meals across the street but no other food outlets nearby. Need a car to get to supermarket or restaurants up the road. Convenient for trips north or south. 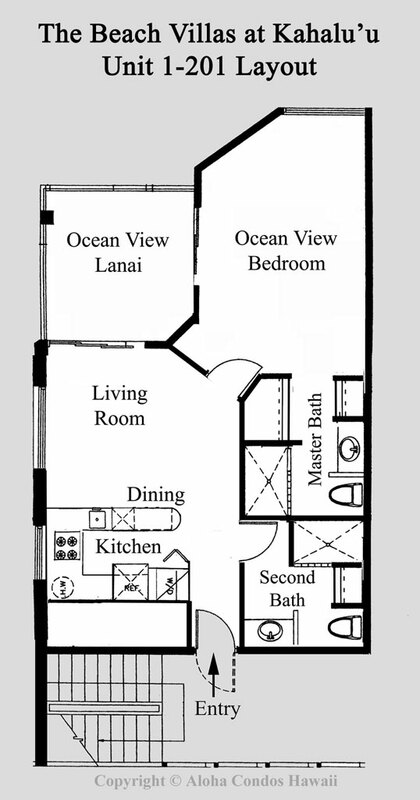 We rented unit 1-201 at Beach Villas at Kahaluu. We found it on Trip Advisor. Service was very good, we needed a place to stay for the next day and the owner actually contacted us right away. The condo was perfect, located right across the street from the beach and very close to Keauhou shopping center with a nice sushi restaurant and thai place. The condo is kid friendly, and there is access to a nice pool. Our 3-year-old daughter loved it. We never saw anybody at the pool and the beach was not too crowded either. The condo was fully equipped (we actually got a juicer for $10 at Wallmart and left it, so now it's really fully equipped:-)), everything was clean and seemed quite new. The interior is nice and charming, and doesn't seem too old either. We really enjoyed our 1-week-stay and will certainly come back. This condo is absolutely AMAZING!!! You just have to rent it if you are on the Kona side of the Big Island. It was clean, comfortable and so relaxing to stay here. It was tastefully decorated. The condo looked new and I believe it was just recently built at the time we rented it in August of 2006. Condo is conveniently located across the street from the Kahalu'u Beach Park which we could see right off our beach facing balcony. It's a wonderful beach to go snorkling or just to hang out. What I liked about this fully equipped condo is that it was comfy, roomy and had everything I needed on my vacation. Loved that it had A/C because my husband and I along with our 2 kids went during August. The condo had 2 bathrooms which really helped out especially when you have 2 teens with you and everyone is trying to get ready or use the bathroom. A 2nd bathroom sure saves time. It even had a washer/dryer which was helpful because we actually did use it during our week and a half stay there. I rented the condo from Chuck Buser and although we only corresponded via email, he was such a nice person to rent from. He provided us with all the information we needed. He even accommodated my request to check in early since we flew in early that morning. Thanks Chuck!!! I definitely would recommend this to everyone. You won't be disappointed. We enjoyed our stay so much that we definitely would come back to rent this same condo again!!! If you're looking for a great bang for the buck, this is it. All the amenities (full kitchen, nice dishes, washer dryer, towels, cable TV, etc). Sipping morning coffee on the lanai while listening to tropical birds became something we looked forward to every day. Ocean view, Palm trees, Sun shine - all enjoyable from a clean and secure complex. Easy highway access. 3 minute drive to a very reasonable supermarket. The snorkeling across the street was convenient and good. 1 mile walk to Magic sands beach. If you're a runner/jogger, you're right on Alii drive. There's a little bit of street noise, but nothing that would keep us away. We enjoyed a very calming vacation overall felt it was worth every penny. Forget the "resorts", this is better! A very nice, clean and well-kept condo, just across Kahalu'u beach park with great snorkeling. Free wi-fi is a big plus, you cannot travel these days without, at least we cannot:) The price is reasonable as well. Among the few minuses is some traffic noise from the road. Also, the lamp on the lanai did not work when we arrived so we had to buy a new one. Great vacation! This was our 6th trip to the islands, 2nd trip to the Big Island. We selected the condo because we love the Keauhou area and the location next to Kahalu'u Beach. Very comfortable, very modern upscale condo. The condo had everything we needed. We would definately stay again. The only negative, and we were aware before booking, was the traffic noise on Alii Drive. Thank you for allowing us to use your vacation home for our vacation. One question. On the day we checked out, we followed all of the instructions at check to get back out cleaning deposit: laundered the extra sheets, took out trash, ran the dishwasher, put our towels in the washing machine to be laundered. Basically everything but cleaning the condo. I thought the deposit would be refundable. Was I incorrect? We have stayed at the Kahalu'u Beach Villas three times. What a great experience. You are directly across the street from one of the best snorkeling beaches on the Island. The view from the condo is wonderful. The grounds are well kept and clean. Nice pool and spa and there's a barbeque for grilling too. The condos are furnished beautifully, are clean and you have a washer and dryer in the unit which is very handy. You are in walking distance to a local shopping center and Kona town is just a few miles up the road. Although you are on a main street, traffic noise is not an issue. There is nothing better than waking up in the morning and going out on the lanai and looking out to the ocean. We love these condos! Our vacation was absolutely the BEST!! The location of the property is Excellent and the accomodations are exceptional. It offers relaxing privacy in a paradise setting. The decor of the condo is fabulous, providing a fun, home away from home setting. The amenities in the condo, and nearby, are excellent. A high point was the large Lanai, where breakfast and time relaxing in the evening were well spent. There were no surprises on arrival and the property was exactly as expected from the web info. The smoothness of our stay was greatly helped by the ownerships attention to detail and commitment to ensure our stay was enjoyable and trouble free. This vacation spot is perfect; in fact it is so perfect we hate to provide a review as we'd like to keep this gem a secret!! Our stay at Aloha Condos was absolutely the BEST we could have hoped for!! This property is a delight to stay in with an exceptional location. There were no surprises nor difficulties. It is well appointed bth in amenities and decor. The rental went very smooth thanks to the ownership groups attention to details. I actually hate to provide the feedback, as we'd like to keep this gem a secret!! Honeymooned all over the Island and this was our final stop. Very clean and great place for the money. Why spend $250+ a night at a high rise hotel when you get a condo that is twice as nice for less money? We thoroughly enjoyed our stay. We had a great time staying at this location. Great view of the Ocean. Enjoyed snorkeling just across the street, and scuba diving with the Dive Shop. Great place to stay. My parents and I spent 5 nights in this wonderful condo in Keauhou. It is a spacious and clean apartment, with wonderful views of the coast. The only problem we had was the fact that we didn't wish to drive while in Hawaii, and therefore this place is a bit far out from Kona-Kailua. If you have a car, however, this is probably the best location on the island!